Java and ColdFusion its not that difficult. | It is what it is, sometimes it helps. Java and ColdFusion ( well CFML including OpenBD and Railo ) work really well together as you would expect. 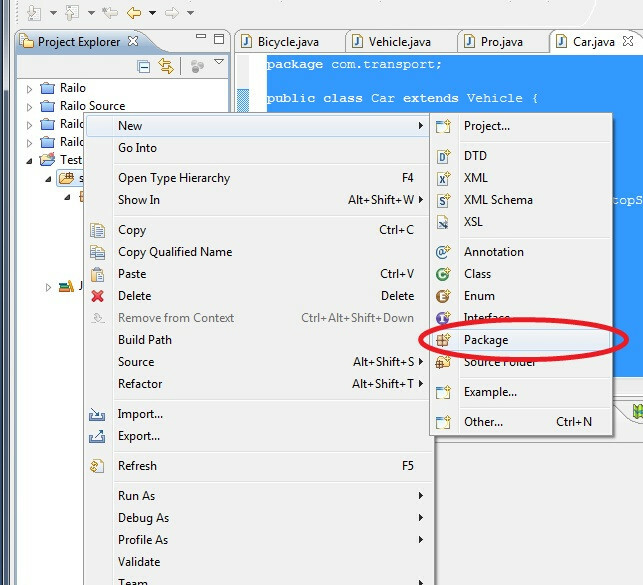 However there is not a lot of information out there about exactly how to create (or use) existing Java within ColdFusion, which is whyy I decide to make a simple example and a step by step post of how to create java code and execute it from ColdFusion. All the files use are available for download at the bottom of the post. 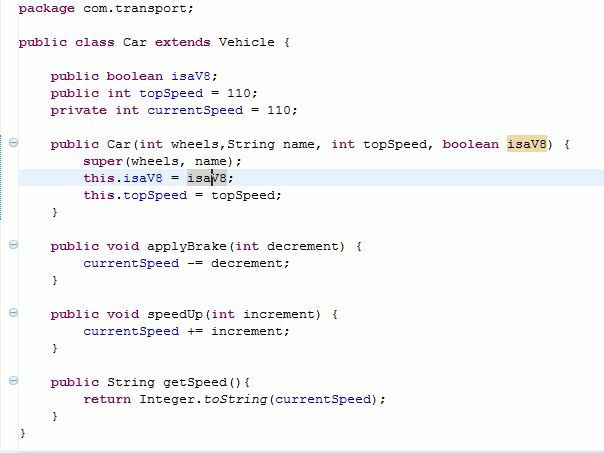 notice its javac not java as we need to be able to compile .java code. 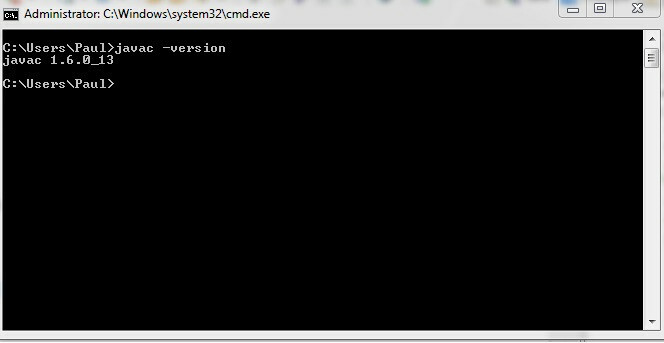 I completed the example on Windows but it will be the same on any operating system. You can now export the code as a jar. You need to restart ColdFusion to pick up the file. 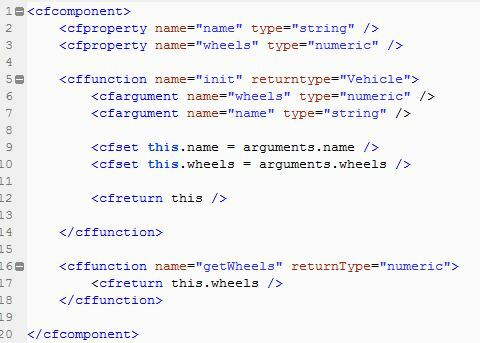 I then made a page to create a few of each object type ( cf and java ) and show how the code is almost identical. 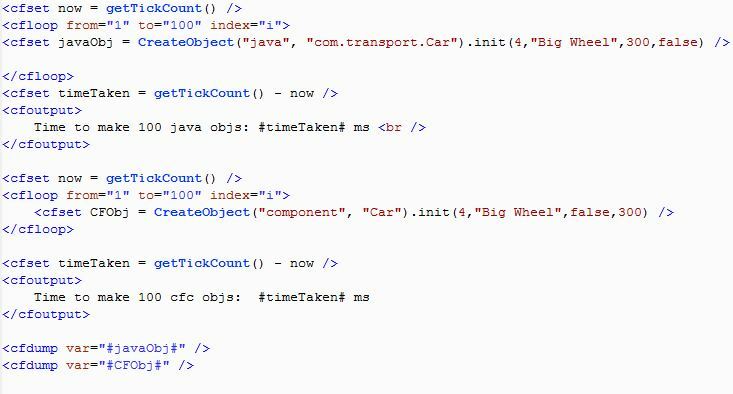 Yes java objects are much faster then ColdFusion. 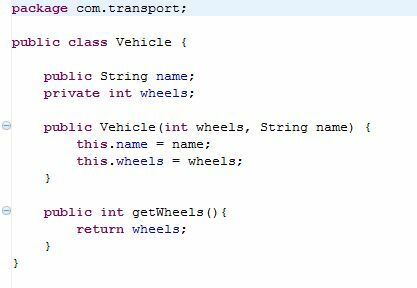 The point of the post is to show how easy it is to jump between java and CF and if you have algorithms, class's or any code that's already built in java you can easily leverage this in ColdFusion. Also note that I compiled the code on Windows 7 64 bit and tested on ColdFusion 8 I then dropped the jar onto my linux VPS running Railo without a single change in code or recompiling the java code. Why is all the code done as images, thats crap, I can't copy and paste any of it. 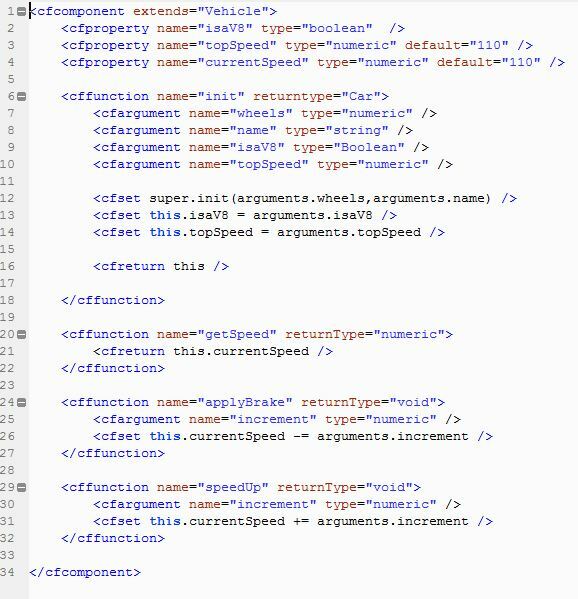 It's alot of work to make it look correct with the syntax highlighter. All of the code is available for download at the bottom of the post. "Que? Don't know what to do with that...[pseudo-answer]"
Thanks mucho for this. Great simple example. nice job Paul! i'm a java newbie and have been using CF for awhile now, so this will definitely come in handy. you're absolutely right, there just aren't enough of these examples out there yet. thanks for sharing! This is probably the most straightforward example of this I've seen. Java use to scare me, but as I've learned more and more about development with AS3, Java seems so much easier. I definitely have situations where doing things in Java would make more sense. Thanks for the post. I have been hearing for years about what Java and CF can do together, but have not seen a great deal of coding examples. 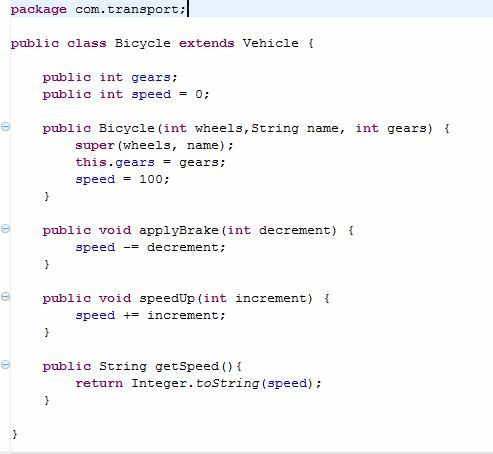 This was a good example of how you can go from Java development to CF development pretty quickly. I would like to see more post like this one from you and hopefully other CF bloggers. Hmmm, maybe it's time for me to start blogging on the topic :-). Good article, I use JAVA a fair amount in a couple of our projects, I would always Advocate the use of Mark's JavaLoader component as you don't have to actually install the library onto the server, it's a much better approach and more maintainable, especially if you're on a shared host. 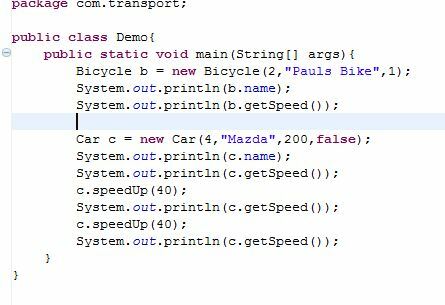 Very helpful and good example to start working with java and CF. But confused with the time taken by both approach. Maybe I'm doing something wrong but I could not Test it, well, I need the classes in .class or .java for run with CF? You need to create a jar file and drop the jar into the lib folder ( in my case C:\ColdFusion8\lib ) then restart ColdFusion. 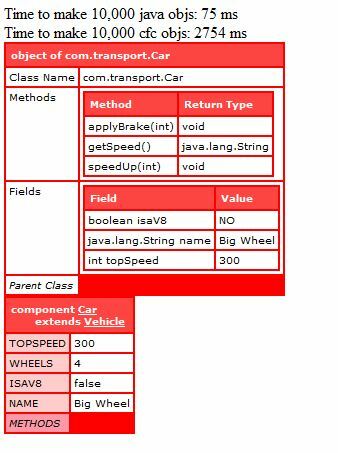 This approach will use system java compiler or cold fusion in build compiler. It would use the jmv you specify for ColdFusion. Please not I have not used ColdFusion for 5 or so years.